Canine Urine Marking is an instinct behavior of dogs (especially for the males). It could mean that they are protecting territory & belongings. It can also be a way for them to communicate with other dogs and with you. Usually, canine urine marking is natural and innate in dogs but it can be a total disaster when your dog is urine marking inside your home! It might sound a little difficult to try to take control over their intuitive behavior as animals but there are preventive ways to manage marking. Ownership. Dogs will mark on places or things (yes, even family members) they consider theirs. Marking is their way of showing that this and that is "mine". It's their STOP sign so you better "get your own". Dominance. Dogs also use their urine to show dominance over other dogs (or animals). It can also be a sign of competition between dogs in a multi-dog household. Stress. But it can also be because of stress and anxiety like changes in routine, visiting new places, or visitors at home. All these can trigger stress in your dog that will result in urine marking. This is a way for them to make the new environment smell like home and to reach out to you and say, "Hey, I'm here. Don't you dare forget about me." HOW DO I KNOW MY DOG IS URINE MARKING? Canine urine spots are easy to identify but know that there is a difference between urine mark spots and urine accidents. Canine urine mark spots is when your dog pees on corners and vertical surfaces inside your house. While urine accidents happen on the floors. Find out the cause of the marking. Know what causes your dog to mark. Is it your visitors at home? Your new pet? Stray animals outside? New furniture at home? New furniture arrangements? A change in your dog's daily routine? Getting to know the actual cause of the marking will help you manage your dog's marking effectively. One of the main reasons why dogs mark is that they're stressed. As a pet parent, you should be able to establish a strong connection between you and your dog, maintaining structure in his life. Set a daily routine for him to feel secure in his environment. When your dog has too much fear and anxiety, it can lead to bad behaviors like excessive barking, chewing and yes! Marking. Know the right preventive measures. Taking preventive measures can help reduce or even eliminate his urine marking behavior and keep your house clean! Use dog diapers and belly bands to keep him from dribbling urine on your furniture and on the corners and walls of your house. These are every pet parents' lifesaver! Praise and appreciate your pooch for peeing in the right place. Giving him reassurance and rewards when he does something good causes positive reinforcement. Try to keep stray animals away from your home. 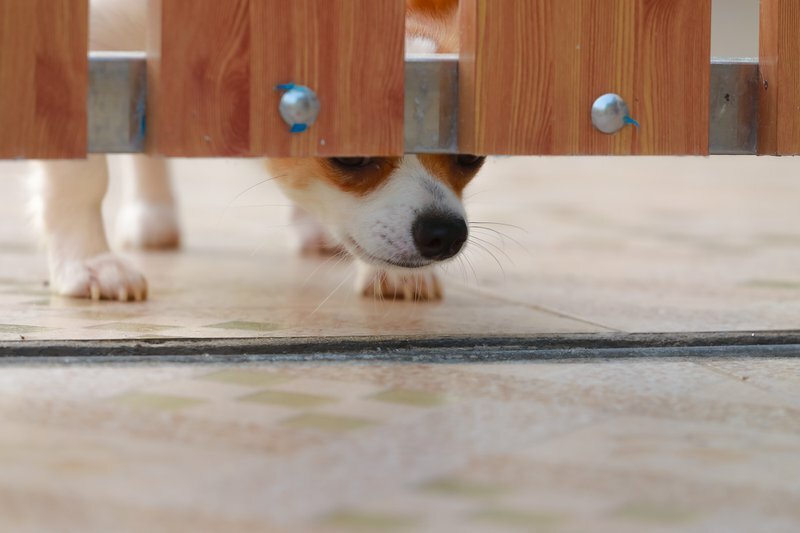 Seeing another animal around often triggers canine urine marking. Make sure you limit his access to the spots or things where he marks his territory. Clean the area your dog has marked and make sure to neutralize the odor in that area. Neutralizing the odor will prevent your dog from remarking on that same spot. Your dog is nowhere near like humans and can't express his feelings in words. Canine urine marking is one of the ways he does communicate. Your dog isn’t peeing to make your life a nightmare, he is doing it because there is something in the environment that is causing his marking instincts to kick in. Be patient with your dog, love him, reward him, and eventually, this whole canine urine marking will be a thing of the past!